Most investors understand the difference between a SIPP (Self-Invested Personal Pension) and an ISA (Individual Savings Account): for SIPPs, like all pensions, you get a tax break when your money goes in; for an ISA any money you take out is tax-free. So both have a role in your tax avoidance strategy. The following discussion is simplified (as pensions can be complicated) and applies primarily to taking an annuity from a SIPP or 'money purchase'/'defined contribution' company pension - but not the more complex 'defined benefit' or 'final salary' pensions (although you may be able to apply the principles identified in a similar way). You will also need to take account of any State pension you might receive (although thereis a very small chance that this might be tax-free in future). Income taken from an ISA is not subject to income tax. 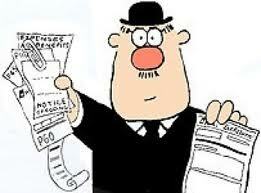 However, if your pension (or other) income rises above your personal allowance you will pay 20% tax on this excess. So there is some benefit in keeping your pension below this amount (but optimally rising over time in line with the personal allowance). So, how much would you need in your pension fund to achieve this? The calculation is a little complicated (and if your employer makes a contribution, you will need to take this into account in your calculations). Say your target pension income is the future £10k income tax allowance, you might need about £200k in the pension fund (with an approximate 5% annuity rate). To this you should add the potential 25% tax-free amount, which - with a bit of calculation (200 / 0.75) comes to around £266k. The lump sum and the annuity income are all completely tax-free. For a higher-rate tax-payer, if your pension fund was made up of income that would have been taxed at 40%, the tax avoided would be around 40% on the total = £106k. This includes any growth in your pension over the period that you were subject to 40% tax. Any further contribution to your pension (from 40%-taxed income) and you would save only 20% tax. Further contributions from income liable to only 20% tax would not provide much overall tax saving. A basic-rate taxpayer would save 20% tax on the same amount but would not see much benefit from saving more in a pension. Still, that's better than a poke in the eye with a sharp stick. As they say. With ISAs, you only avoid tax on the income and capital gains in your portfolio. Put money into an ISA and take it out and you don't make any tax saving. So it is mainly a way of protecting the income (and capital gains) of your investments from tax. The important advantage of an ISA is that - potentially - it can be passed on to family, as long as you stay within the inheritance tax limits (e.g. directly to your spouse, as gifts within 7 years of your death or as part of your estate, etc.). Because the payout from these types of annuity is lower (around 3%) the pension fund can be higher, saving you more tax. I'll leave you to do the sums. I hope that prompts some thoughts from readers - do you agree? As a basic rate tax payer, there doesn't seem much point in taking out a SIPP, especially since I already have a defined benefits pension which exceeds 10k/year. That said, if I were to use it like a piggy bank, paying in say 80k would create a pot of 100k. Taking 25% lump sum would give me 25k, drawing down the remaining 75k less 20% would give me 60k, totalling 85k return. I don't know if one could/should use a SIPP like this but as an example it looks like even a basic rate payer should take out a SIPP. It's only 5% but better than another poke from that stick.